March 2019, Mayflex the distributor of Converged IP Solutions will soon be celebrating the 2nd anniversary of its training academy. 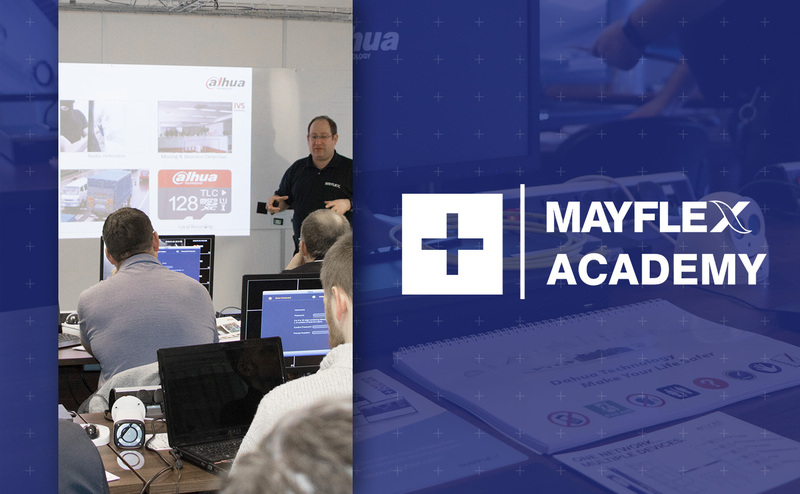 The Mayflex Academy was introduced at the beginning of April 2017 and gives customers access to a range of training courses, most of which are free of charge. These courses provide customers with the opportunity to broaden their knowledge levels and potential customer base. To date the Mayflex Academy has seen over 100 different companies send delegates onto one of the many courses offered. Current courses available include the following vendors; Dahua, Avigilon, Paxton, Aruba, Excel and Mist. Courses delivered by the Mayflex Academy are held at our offices in Birmingham and London. To review course agendas to determine if a course is suitable for your and to check available course dates visit the Mayflex website.